￼￼What? 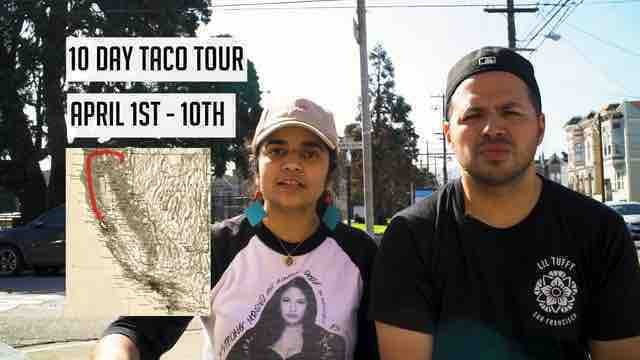 Two Cali-Native Homies taking a week and a half to digest taco stories across the state one bite at a time. We are researching taco spots looking to have conversations with the taqueros and taco lovers about their passion behind the grill and hope to gain some insight on what makes their taco special, what is it about tacos that everyone loves so much? We will hit a major to mid-size cities every day for 10 days and make stops in small towns to eat at taco spots to have conversations with various people we meet and schedule to meet with. We will be recording our interviews on camera and capture our entire trip to make a short form series of VLOGS to be shared on social media. To give visibility and highlight voices not typically seen or heard in the media, especially those producing the culture around tacos we love so much. Our vlogs can serve as a vehicle to share those stories. Donate $10 or more to pay for a meal and tip the taqueros! Alma Herrera-Pazmiño is a San Francisco native, videographer, and creator of Hyphen Productions. Dominic Prado is a Taquero in Oakland, Tacos El Ultimo Baile, originally from the Central Valley of California. Ever wonder who holds down the pop-up shop in front of the Legionnaire on the weekends in Oakland? Dominic took a chance on his entrepreneurial spirit and opened his taco stand in April 2016. He is chalk full of stories, check out this short promo on Tacos El Ultimo Baile for a taste of what you are in for when you eat her. Click below to watch Hyphen Productions latest video!! 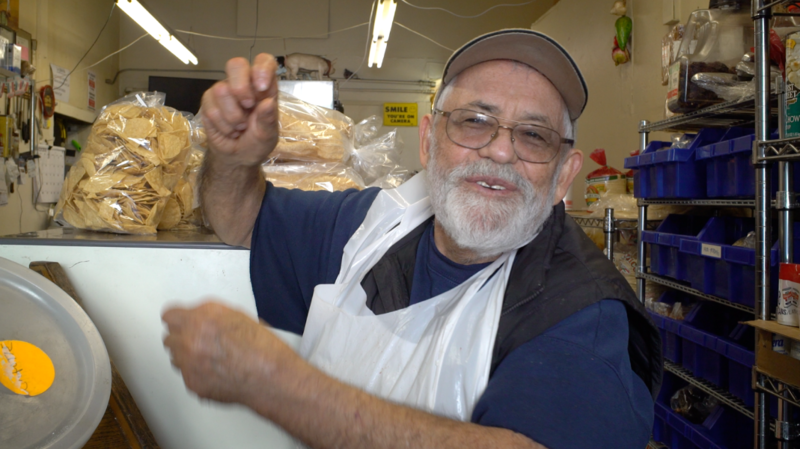 One of our first Interviewee's was Salvador Vasquez of La Gallinita Market on 24th and Harrison St. Trained designer has owned this butcher shop and taco spot for over 43 years. He shared just the beginning of what should soon be a documentary on his wealth of knowledge on meat. "Every piece of meat needs to be cut with an eye for design." More on his story soon. Thank you to everyone who has contributed so far! This project is so timely and the positive feedback we have gotten tells us that there is a need for real stories told in a modern platform. Please share the heck out of this and let’s get to $750 today! Follow Hyphen Productions for content. Make sure to follow Hyphen Productions for updates about the tour, vlogs and videos.